Very clean and organized military famcamp with an excellent staff manager. All sites are level concrete with good FHU utilities. 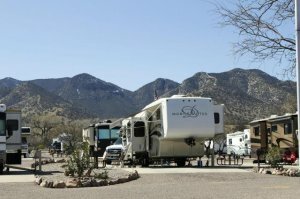 We camped at Apache Flats RV Resort (Military FamCamp) in a Fifth Wheel.